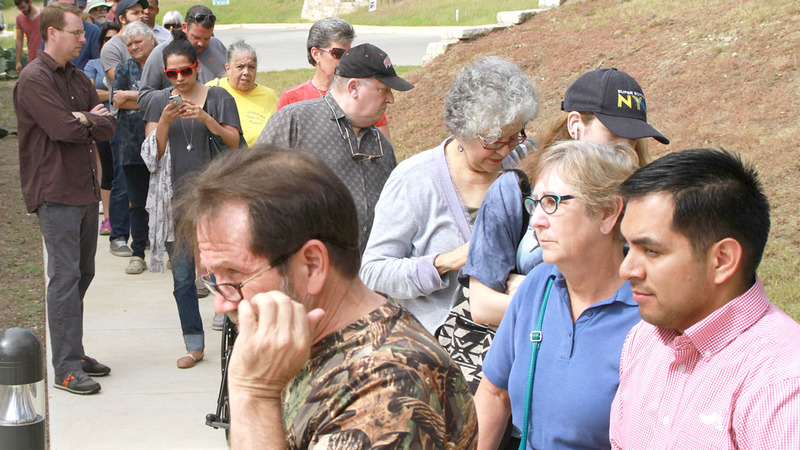 The potential of disenfranchising east Kyle voters led Hays County Commissioners Tuesday to approve a second early voting site for the Nov. 7 election. The move, which was done via a 4-0 vote, came after Kyle City Council member Daphne Tenorio petitioned commissioners for a location that was disapproved by her peers on the city dais. Kyle’s new early voting location will be at the Kyle Fire Station No. 2, located on Bunton Creek Road. The location was added after the Kyle City Council opted to approve one early voting site at city hall. Todd Webster, Kyle mayor, said Hays County officials questioned the city about where an early voting polling site should be placed. Webster said his preference was city hall, based on several factors. One was the additional cost the city would incur if it added a second early voting site. According to city documents, Kyle would have to pay $6,300-plus for its early voting and election day sites. Another factor was feedback he had heard from those who had worked at the polls during past elections. Webster said some sites during early voting received less than ten votes per day. He also felt moving the elections to November could help open the number of early voting sites residents could visit. During the early voting period, residents are able to cast a ballot at any of the 30 early voting sites across the county, Webster said. He also believed city hall was the default place for Kyle residents to go when it came to voting. On Aug. 1, the Kyle City Council approved city hall as the lone early voting location by a 6-1 vote. Council member Daphne Tenorio voted against the measure. By approving the second site unanimously, Hays County would incur the cost for the polling location at Fire Station No. 2. Tenorio said she was “thrilled” about the second site and that it’s a good idea for the city. Tenorio said she was also “disappointed” in the decision of the city council to “turn down” the second early voting site with constitutional amendments on the ballot. She hopes the second site drives more people to early vote. With the county footing the bill, Webster said he will wait to see what the turnout will be. “If the county wants to do that and see what works out, that’s fantastic,” Webster said.